Monday, July 18 was way too crowded, but Frank arrived on Tuesday, waited in line, paid his one dollar admission, and fell in love with the place. A combination of nostalgia and a feeling that the real world was inhospitable, perhaps. Frank came to the park eight days in a row before anyone noticed that he'd been there the day before. In the park's second week, Frank met a young employee named Martin who wanted to interview him for the Disneyland News. Martin was 21, with dark hair, bookish glasses and seemed Jewish. 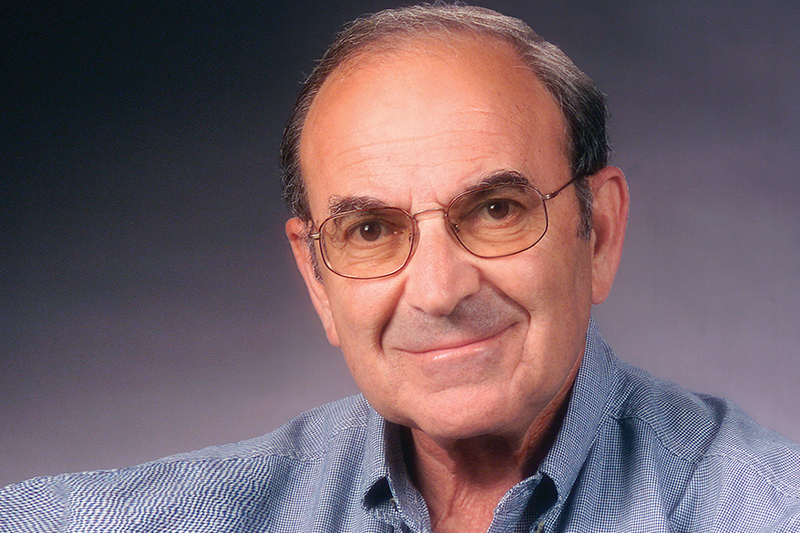 He was, in fact—his last name was Sklar—and he was smart, Frank could tell. Martin was a UCLA student, the son of a teacher, majoring in political science. Frank tried to describe what he liked about the Magic Kingdom. Every twenty minutes, a booming, stentorian voice would emanate from the train station: "Your attention please. The Santa Fe and Disneyland railroad is now arriving..." The train would chuff slowly into the station, its bell clanging as it came. People were on their best behavior—they dressed nicely and seemed to treat each other with more consideration. Frank told Martin: "I can jaywalk here." Martin—Marty to his friends—introduced Frank to Ed Ettinger, Marty's boss and the head of Public Relations. Ed posed with Frank for a photo in the Anaheim Bulletin and put some complimentary passes in Frank's hand. Disneyland was just a summer job for Marty. He had hoped to visit India, but the trip fell through. In the fall, he would edit UCLA's Daily Bruin newspaper. 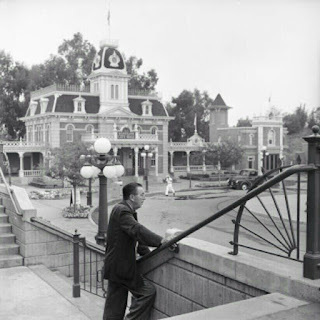 In June 1955, he made a presentation to Walt Disney and it changed his life. 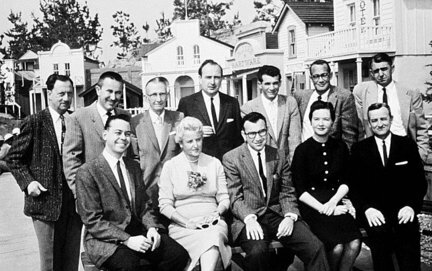 He returned to work for Disney in Fall 1956 and stayed 53 years. 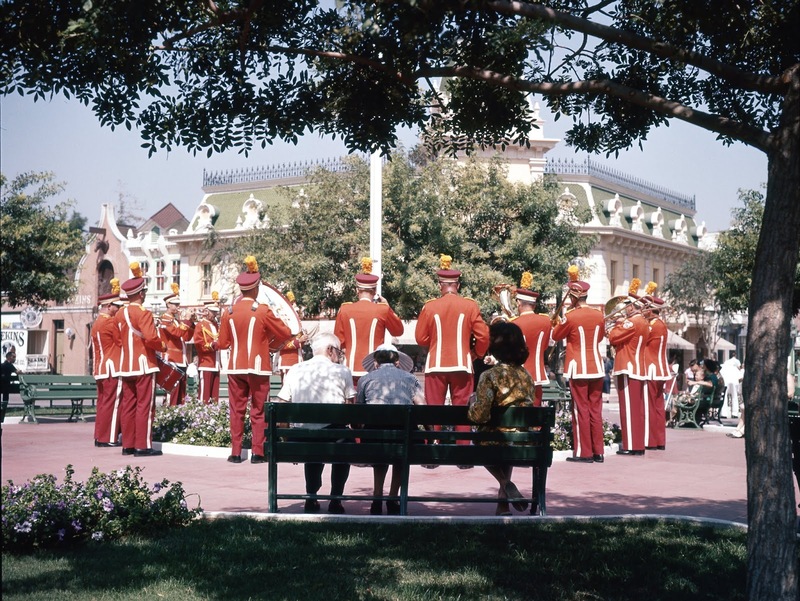 "Here we were, two weeks before Disneyland was scheduled to open, and it was total chaos. It was at that time that I was called in to have a meeting with Walt, the Walt Disney, to present my concept for the tabloid. Remember: I was 21; I’d never worked professionally, still a student at UCLA. …I was plainly scared as hell. If it was no good, I was out the door; they’d find some professional to do it. 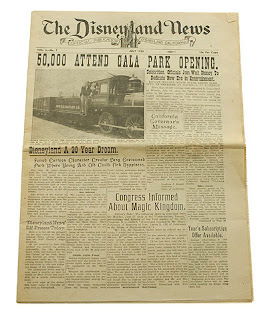 Marty wrote "Walt Disney's Disneyland," the hardcover souvenir book sold at the park in 1964. He included Frank's comment, along with others he had overheard from guests. By then, Marty had thoroughly absorbed what Walt was trying to do. In writing for Walt, he expressed Walt's ideals, his inchoate concepts. "What is Disneyland? It is the innocence of youth and the wisdom of age. It is a child examining the hitching posts that line an 1890 street and asking 'Mommy, what kind of parking meters are these?' It is an elderly gentleman on the same street, smiling happily as he tells a bystander what he likes best about Disneyland: 'I can jaywalk here.'"